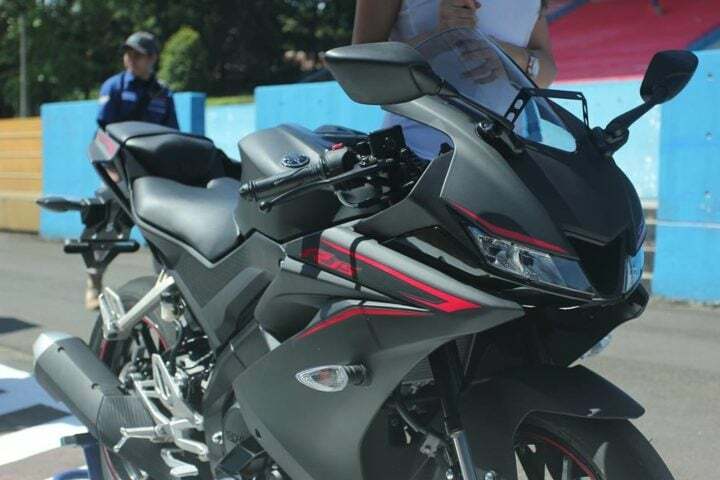 By now, it has become fairly well known that the highly awaited Yamaha R15 V3 is about to launch in the country. As per latest reports, the new Yamaha R15 V3 India launch will happen in March 2018. Ahead of its launch, the new motorcycle will make its India debut at the fast-approaching Auto Expo 2018. The first batch of the motorcycle has started reaching the dealerships. Also, it is being reported that many dealerships across the country have started taking bookings for the upcoming motorcycle. The motorcycle that is about to launch in India looks a lot like its international counterpart. That said, the India-spec V3 is more of a facelift than an all-new model (like the one on sale abroad). The India-spec Yamaha R15 V3 is based on the V2 but comes with many new body panels and a new engine. It also comes with many new features to enhance the attractiveness of the company’s popular 150cc full-fairing motorcycle. Speculations abound that the new Yamaha R15 V3 India launch will take place on 8 March 2018. Until now, it was expected that the new motorcycle would launch here in January. However, the company is now planning to bring the motorcycle to the upcoming motor show in Delhi NCR. Subsequently, the new R15 V3 will go on sale in March. It may be noted here that the first batch of motorcycles has already reached the dealerships and some dealers have reportedly started accepting bookings for the new model. The new 2017 Yamaha R15 V3 is likely to cost somewhere between Rs. 1.30-1.40 Lakh(ex-showroom). Currently, the R15 V2 comes with a sticker price of roughly Rs. 1.20 lakh. However, a bigger engine along with new styling and a set of new features should lead to a significant increase in price. The new Yamaha R15 Version 3.0 is powered by an all-new 155.1 cc VVA SOHC engine that outputs a maximum power of 19.31 PS along with a peak torque of 14.7 Nm. The engine comes mated to a six-speed manual transmission that comes with a slipper clutch. The India-spec model, which will be based on the V2.0, gets the same swingarm and suspension. On the other hand, the international model gets a slightly different wheelbase and USD front forks. So, are you waiting for the Yamaha R15 V3 India launch to take place? Share your views with us by commenting below. Also, stay tuned to Carblogindia for latest news on cars and motorcycles relevant to India.